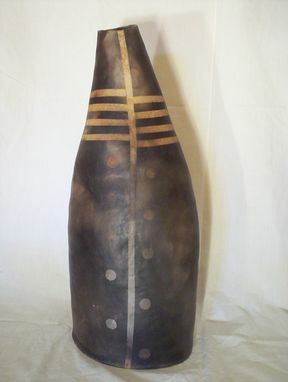 Hand coiled, ceramic vessel that has been smoke fired in a barrel and polished with beeswax. For decorative use only. Surface is not uniform due to smoking process. 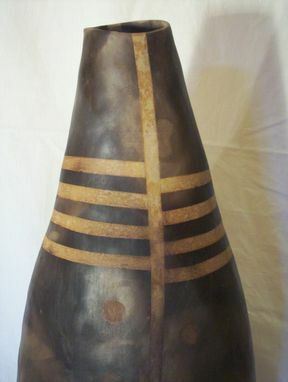 Dimensions: 18 inches high by 6 inches at widest point.